¡Hi! 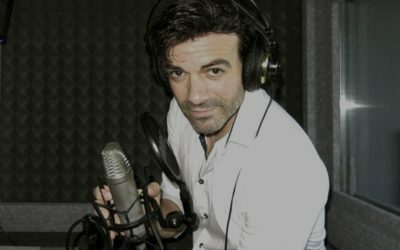 I’m Enrique “Quique” Lozano, spanish voice over, dubbing actor and composer. 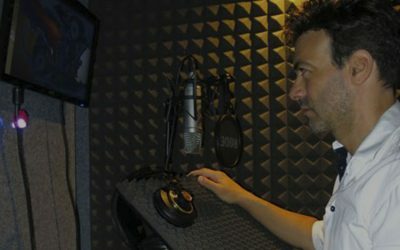 In the last 10 years of experience as a professional spanish and german voice over, I have put my voice in the development of countless proyects: narratives, dubbing of films and documentaries, voice over, advertising and corporate videos; and everything as far as the voice over service is concerned. My life goes between my recording studios in Madrid. And as an online broadcaster, I have the pleasyre of collaborating with clients in Austria, Spain an Germany. I’ll leave you with my skills, I’m sure we got a good collaboration. Do you need an online Speaker? If what you are looking for is an online voiceover for your project, capable of generating sensations in your audience, you are in the ideal place. My voiceovers are recognized, in addition to my education and voice training, for being backed by the use of the best recording equipment and editing software. I have a recording studio in Madrid. I do quality online voiceovers at all times. My voice is ideal for TV spot, radio spots and dubbing, with a vocal register varying between 15 and 50 years old. I work as a freelance online speaker from my studios, you can count on my voice from anywhere in the world. As a professional online speaker, I deliver voice overs in 24 hours as fast as you can need it. In my work as a Spanish-language announcer I have specialized in converting text to speech, TV spot content, documentaries, movies, radio spots, video games, corporate videos and more. Below is a list of all my services as a spanish voiceover. 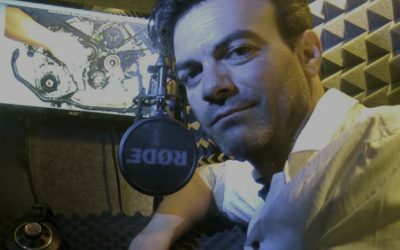 As a Voice Actor or Dubbing Actor, I am able to transmit sensations through the voice I give to characters in movies, cartoons, video games, corporate videos and TV spots. Part of my work can be seen in the portfolio as a dubbing actor and commercial announcer. My recording studio in Madrid has professional acoustic insulation, professional microphones, DemVox soundproofed recording booth and the best post-production equipment and software. A great investment to guarantee the best quality in the voice-over. If you’re looking for a good German speaker with a Spanish accent, you’ve come to the right place. I can do your voiceovers in a German with a fluent Spanish accent for commercial videos, commercials, commercials and corporate videos. As an advertising announcer, I stand out for the management of my vocal register, modulation and tone of voice to effectively promote products and services. I’ll make your radio spots, TV spots and advertising for online broadcast. I can sell to the mind. 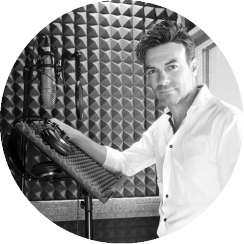 As a voice-over speaker, I make recordings and dubbing in Spanish for documentaries, television series, audiobooks and audioguides. I also do storytelling and voice-over for online academies (e-learning). And you, you’re still looking for a voice-over for your jobs? I convert your scripts or texts into voice, giving it all the strength and characteristics needed according to the requirements of your projects. I can also contact expert German translators to translate them into Spanish and then voice over them. Below you will see some of the work I have done for my clients. Many as dubbing actors and others as commercial announcer or commercial speaker. “To have Quique in any production is to know that the customer will be satisfied. He is a versatile professional announcer who adapts to the needs of each project, always in touch with me for the commercials I require”. “I have been working with Quique Lozano for 5 years in theatre, voice-over dubbing for documentaries, audiovisual productions and the experience has been wonderful, because of the great professionalism and commitment that he has in his work and for the success of the result”. What’s the day of the announcer? Need a Professional Online Speaker? Send me a Whatsapp, or if you prefer use the contact form. Let’s go get your locutions!